Pelatro Plc (LON:PTRO) CEO Subash Menon joins DirectorsTalk to discuss the acquisition of Danateq for an initial cash consideration of $7.0m. Subash provides us with some background to the deal, explains the key rationale, how it is being funded and provides us with more information about the Multi-Channel Marketing Hub space. 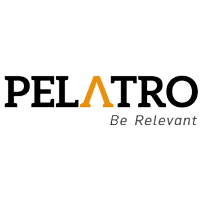 Pelatro Plc provides precision marketing software for use by its customers in B2C applications, with a current focus on providing multi channel campaign management software to Telcos that provides a contextualised, relevant and personalised solution for end users. Pelatro’s precision marketing solution, mViva, uses Big Data analytics to study growing end user data to reveal patterns, trends, associations and key behavioral traits. mViva then applies algorithms to analyse this data and to identify patterns for each end user. Based on this analysis, relevant offers (which can include additional services or customised campaigns) are made to end users through a variety of channels like SMS, email and apps. mViva allows customers to generate smaller relevant segments of end users, which can be as small as one end user. By using mViva’s targeted approach, Pelatro’s customers have experienced an increase of up to 5 per cent. of annual incremental revenue per end user through the upselling of products. Click PTRO for the full archive.